Playtime isn`t over for students at Rleys. We offer discounts for students throughout the year. 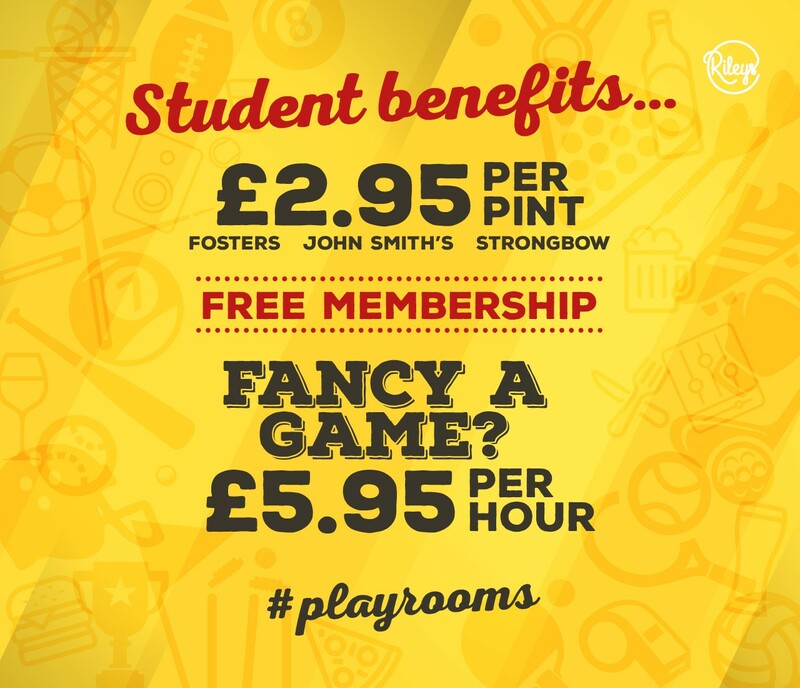 Sign Up as a Student member to take advantage of our exclusive offers. 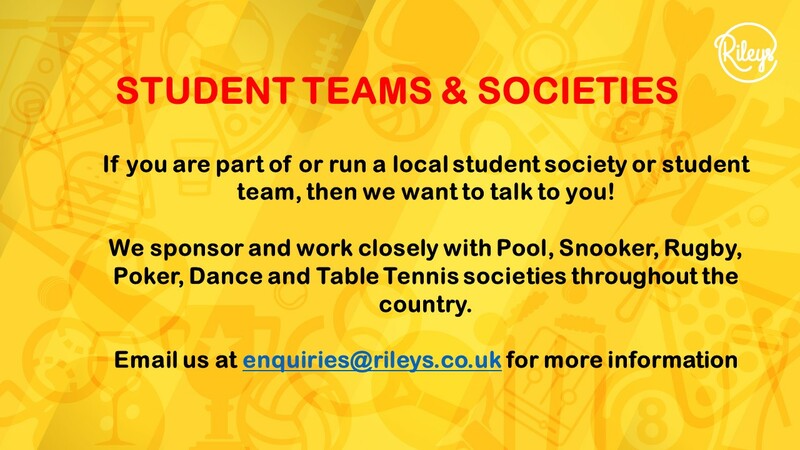 Deals on food, drink and table play at Rileys. Show a valid NUS or Student ID Card when you join in club or collect your membership card if you have joined online.